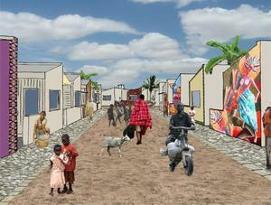 It has been announced that Kariobangi South Community project by London based Studio Bednarski has been declared the winner in the Design For An Emerging World - Future Communities Project category at Cityscape 2006 in Dubai. Two runners up in this category were Skidmore Owings and Merrill ( SOM ) with a project on the Israeli / Jordanian border, and DIST Architects from Turkey with a Plotscape project. The project has also been shortlisted in the RIBA SUSTAINABLE COMMUNITY BY DESIGN competition and features in a travelling RIBA exhibition ( currently at the RIBA HQ in London ). 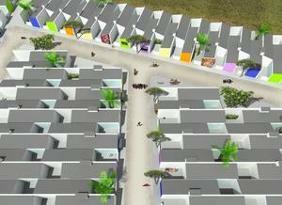 UN Habitat invited Studio Bednarski to present a talk on the project at UH Habitat seat in Nairobi.